The league has still not come up with a policy they are willing to enforce. 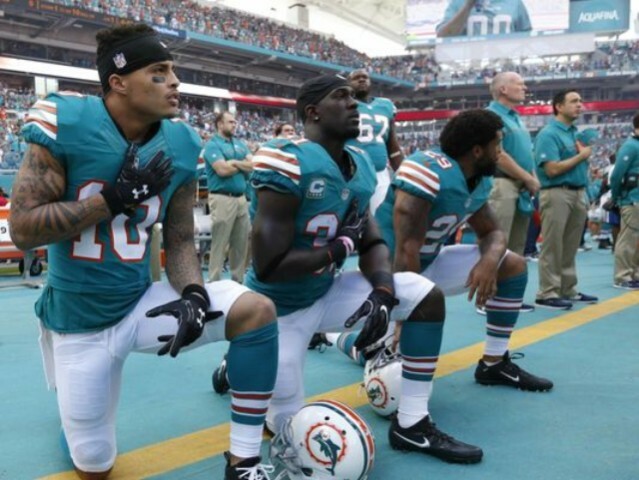 Earlier this year, owners and league officials made a rule forcing players to stand for the national anthem or allowing them to stay in the locker room if they didn’t want to stand. However, the league suspended the rule after the players association filed a grievance claiming that the rule was crafted without the players’ input. Officials then promised to sit down with players and draft a new rule. Still, since that time, no news has been reported on any such meetings between the league and the players to craft a new rule and some reports have even noted that the league has decided to ignore the whole issue for the 2018 season. Maybe hoping that the problem will resolve itself, or that the players will just give up the controversial protests. Perhaps their question is answered, at least in Kenny Stills’ case.